We are happy to announce the launch of our updated email newsletter! This dynamic newsletter aims to bring you the most relevant news regarding our research activities in a practical manner. We hope your experience reading our newsletter will be improved, by giving you more visual content and the option to read more if you want to. Interested in having updates on masters’ theses topics developed at Fraunhofer, external or internal projects of technological solutions for seniors under development or research activities delivered straight to your email inbox? Sign up to our newsletter here. Good news! We have a new logo and a new website! Our website was updated, by redesigning some elements, such as fonts, colour schemes, images and sections. We maintained the usual news, network and about us sections. We added information related to services we can provide along with detailed information related to what we do. We want to offer other research centres and companies the possibility of including older adults’ needs in their projects, as well as the possibility of assessing and validating technologies under development with real users. 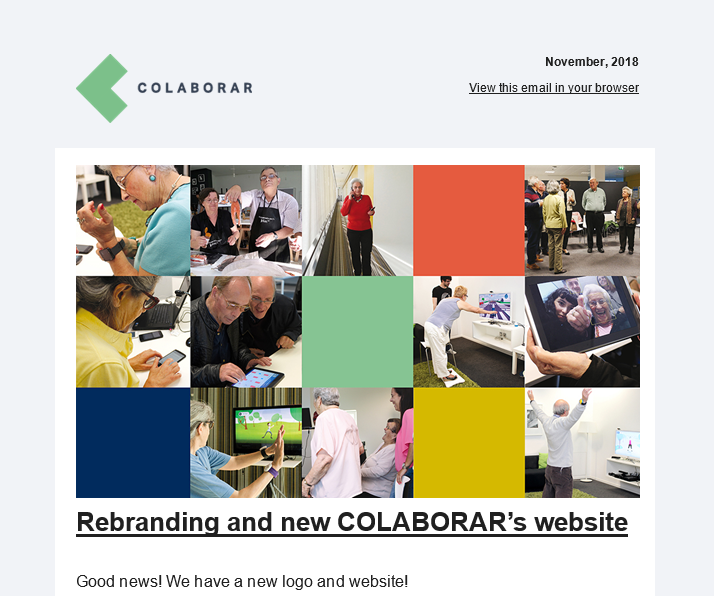 We maintained the area for newsletter subscription and to join the network – you are wellcome, as an older adult volunteer or as a partner institution. We also kept the quotes from the volunteers in the network. To complete the rebrand, we made a new logo, that was already displayed in the COLABORAR Facebook page. Visit us regularly and keep up to date with our activities in the research centre. The Porto Canal channel made a news piece about Fraunhofer Portugal AICOS. The Deus Ex Machina (DEM) project was hilighted. This project focuses on benefits for users in the future by building a technological response to societal challenges. This project comprises sub-projects in diverse fiels: agriculture, nutrition, health, mind and behaviour, activity monitoring, and community tools. The research within the DEM project is supported by National Funds and counts with partnerships of other six research centres from the northern region of Portugal. The aim of this project is to improve the quality of life of the population through technology. The user is at the centre of the research. 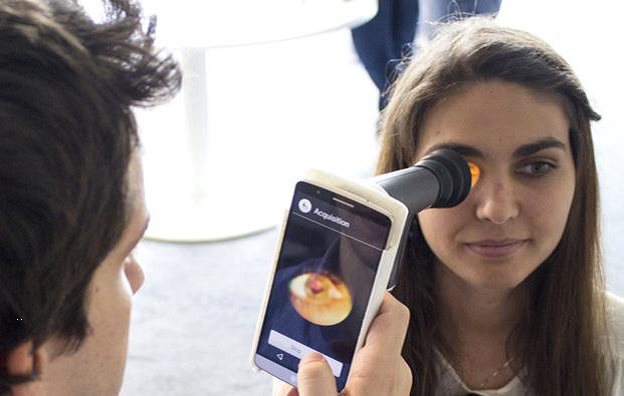 Researchers begin by understanding their needs and the way they perceive technology. Two volunteers from the user network COLABORAR participated in a demo to show a project related to fall prevention. They performed some physical exercises guided by software on TV. Our thanks to the participants! Fraunhofer Portugal AICOS‘ researcher António Santos was in the TV programme Mundo Local, for the Portuguese channel Porto Canal. He explained the project Active@Home, the platform of home-based physical exercise for older adults. 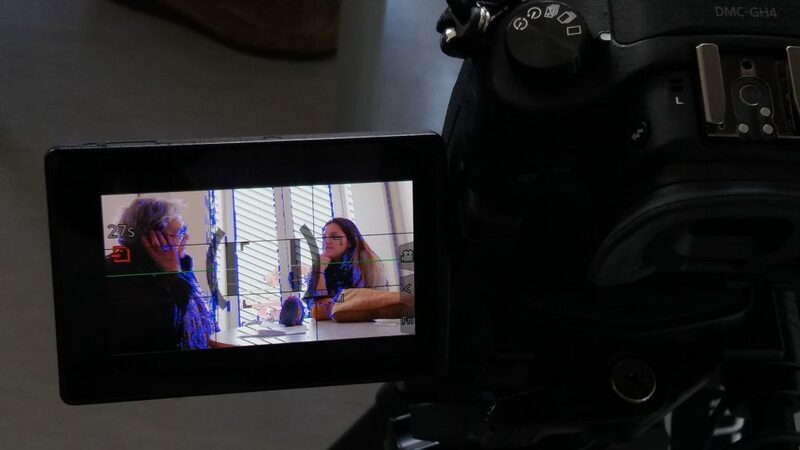 Mrs. Cecília Mendonça, user network COLABORAR volunteer, was present in the studio as well, and was interviewed regarding their participation in the tests. During the news piece, a demo recorded inside our Living Lab was also displayed. We guess that many people wants to try the exercises of Active@Home. Following the initial tests of the Active@Home project, we gave a demonstration to a Portuguese news agency and once again we counted on the COLABORAR volunteers. In this way, the Fraunhofer Portugal AICOS made known this technological project consisting of traditional dance exercises and Tai-Chi, which works on TV, along with some sensors, and therefore allows the elderly to perform strength and balance training at home. António Santos, the researcher responsible for the project, highlights the “playful and entertaining component” of these training program. COLABORAR was highlighted as well, as journalists wanted to know about this network of about 1000 volunteers, who help to test and validate Fraunhofer’s applications. One of the volunteers who participated in the demonstration session, Mr. Jorge Mendonça, was interviewed and spoke about his experience, saying that he likes to participate because he gets to know important applications, especially in the area of health, and that this project of technology for home gymnastics can be very helpful for seniors. The video showing our participation in the Technological Fair is now available. 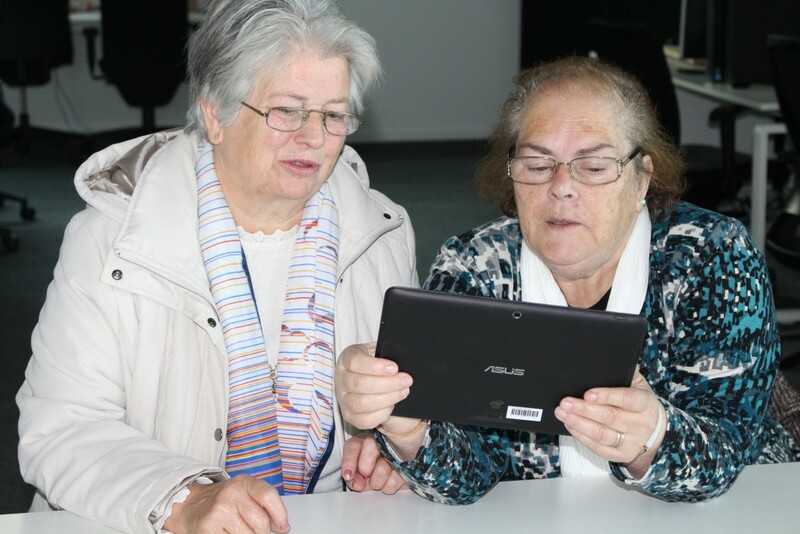 Witness below some fun moments of the event hat welcomed one hundred seniors to try out Fraunhofer AICOS’s applications for tablets, smartphones and TV’s. The event was organized by Santa Casa da Misericórdia de Lisboa and Fraunhofer Portugal AICOS. It was a great opportunity not only to gather a big number of seniors around new technologies but also to engage in some “techy conversations”. 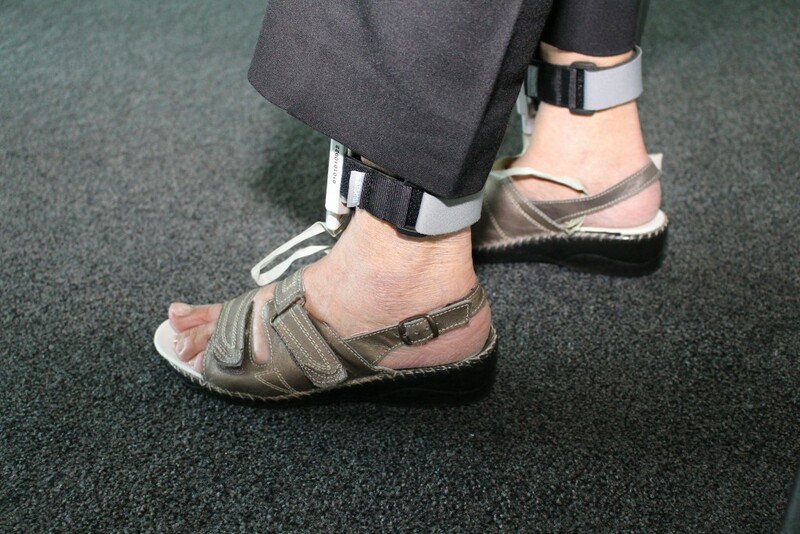 NeuropathyDetect – “Detection of Peripheral Neuropathy in Diabetes patients” consists of using plantar pressure sensors and smartphone built-in accelerometers to collect gait data that is then analyzed by a mobile application. It enables to identify early signs of Diabetic Peripheral Neuropathy in diabetic patients who therefore must adopt protective measures to prevent feet injuries and be followed-up by their medical doctor, in order to improve their treatment. You can see a news piece by SIC Notícias on these two Fraunhofer Portugal AICOS’s projects below (in Portuguese).